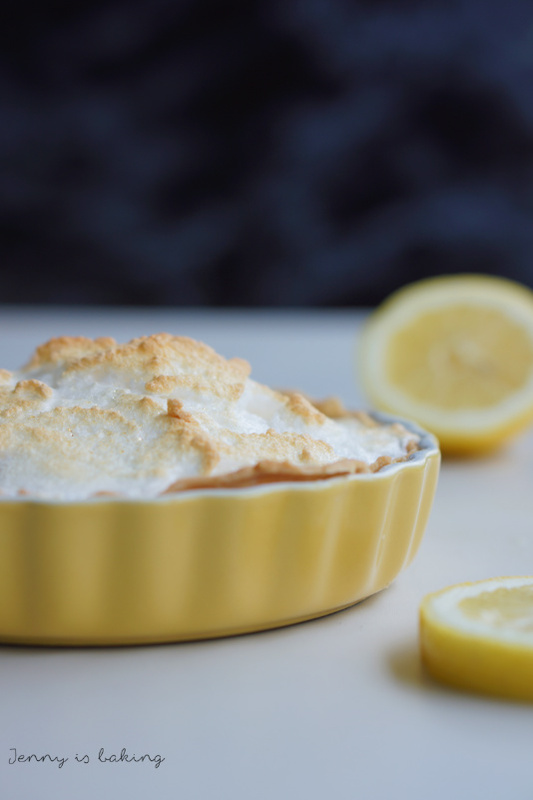 Lemon meringue pie is a traditional American recipe. 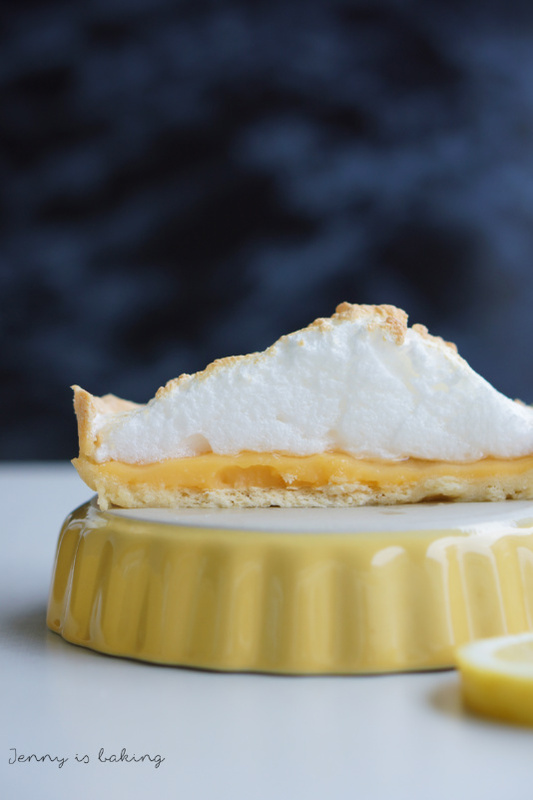 Whereas German will happily add a meringue topping for example on a rhubarb pie, Americans usually add meringue on a lemon pie only. I mean, it makes perfect sense. 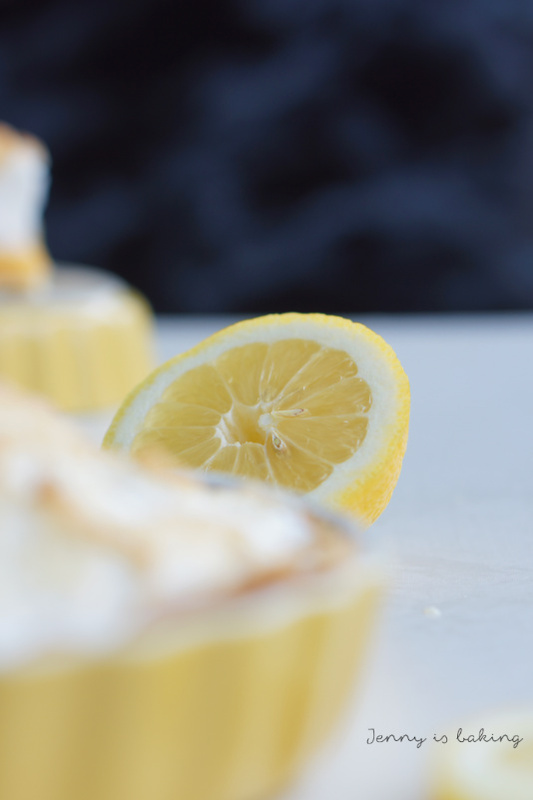 Meringue goes really nicely with lemon. 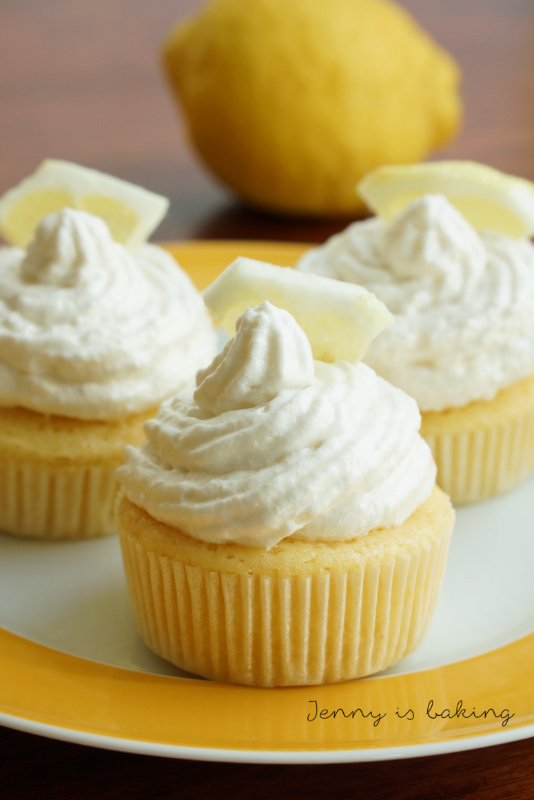 Probably it is the tangy lemon flavor that somehow needs a soft and gooey companion, hence meringue says hello. 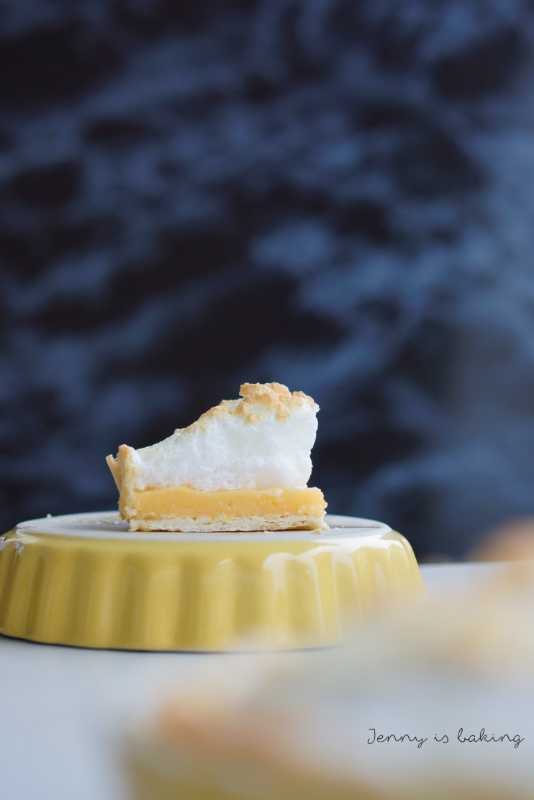 Almost like marshmellow, you will have first a layer of fluffiness, followed by really tangy lemon filling and then a crisp pie crust. Such a wonderful combination! 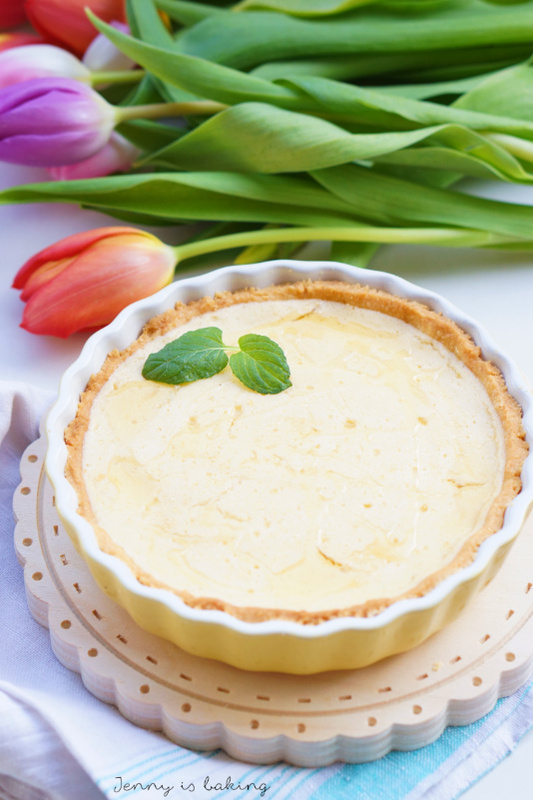 If you are afraid of the pie crust, don’t be, I give a lot of tips here. 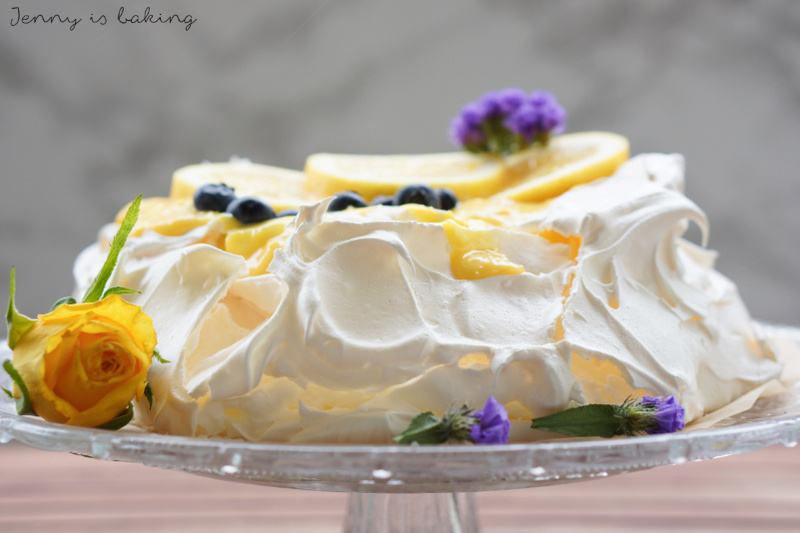 Making the lemon filling is actually not that hard either if you are sure not to cranck up the heat too much. 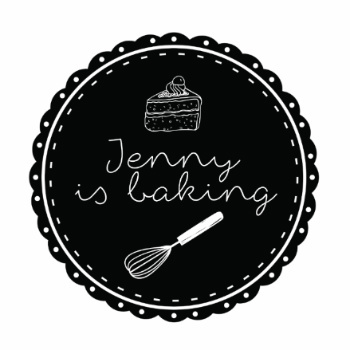 And making meringue, well, I also give a lot of tips here. 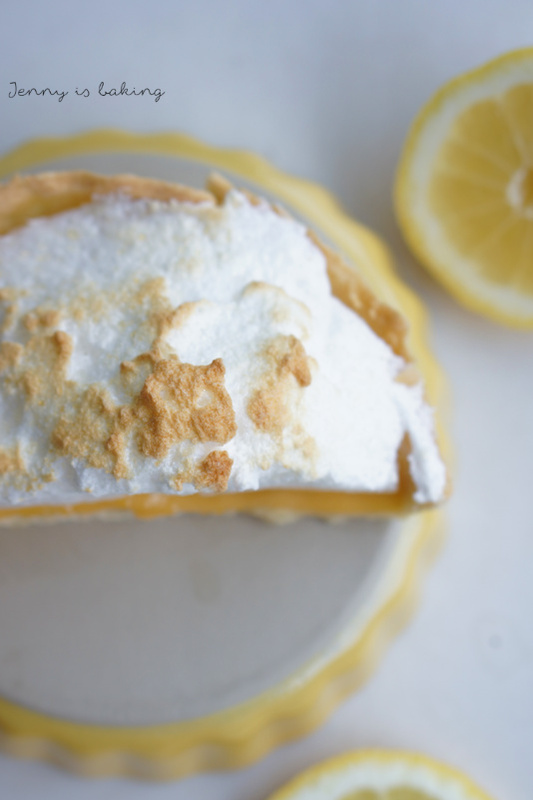 Lemon meringue pie is a perfect dessert for spring, fresh, tangy, light, and full of colors. Let me walk you through the process in the recipe below and enjoy! For the pastry dough cut the butter into cubes and mix as much as you can with the icing sugar and egg yolk until you form crumbs. Add the flour and almonds and work into a dough. I usually need about 1-3 teaspoons of cold water in order to form a ball. Wrap ball in plastic and put in the fridge for half an hour or longer. Cut the dough into four equal parts and roll out first part a little bigger than your tartelette dish. Line your dish with the pastry dough and cut off any overhang. Prick prepared pastry dough with a fork and repeat for the other three. Preheat oven to 180 degrees Celsius and cut out parchment paper the size of your tartelette dish. Crumple the parchment paper and place it on top of the tartelette form. Place uncooked beans or rice on the parchment paper (this is called blind-baking to ensure the crust retains its shape while baking). Bake at 180 degrees Celsius for about 15-18 minutes on middle rack or until golden. Remove parchment paper and beans/rice and let cool. I usually have my “baking rice” stored in some jar and keep it all the time to pre-bake pies, tarts, etc. While the dough cools offs, start with the lemon filling. Place the egg yolks in a mug and stir with a fork. Set aside. Place all other ingredients except for the butter in a pot and heat on medium heat while stirring for about six minutes. It should be come thick. Turn heat to low. Take a tablespoon of the water mixture and add to the egg yolks. Stir in another tablespoon. Turn on heat to medium again. Add the egg yolk mixture to the water mixture and let simmer until it becomes thick and bubbly. Add the butter and let melt. Pour into prepared pie form(s). For the merengue preheat oven to 160 degrees Celsius. Beat the egg whites on medium until soft peaks form, then add the salt. Add the sugar slowly and beat on high speed until stiff peaks form and you could turn the bowl upside down. Either spoon or pipe onto lemon filling. It is OK if the lemon filling is still warm. Bake for about ten minutes, but keep an eye on the pie. You don't want the meringue to brown too much. Chill for a few hours before serving. Tastes fresh best.